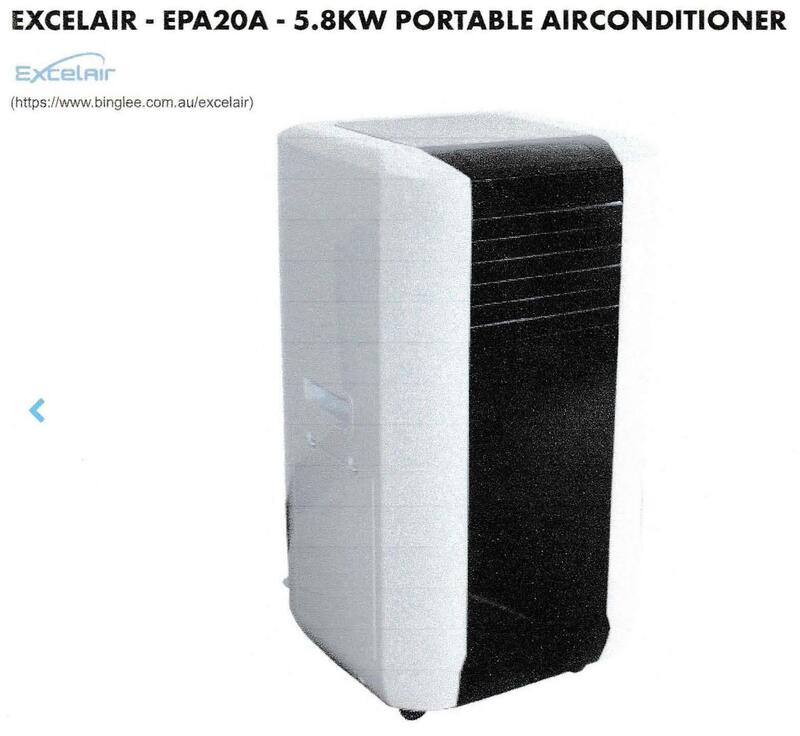 President Jim advised that he had arranged the delivery of the portable air conditioning unit to The Liverpool Community Kitchen and Hub and that once they have a 15 amp power point installed the kitchen should be more habitable. He will pass on the Club’s appreciation to Bing Lee for the support they have given us. Treasurer reminded members of needing volunteers for the Cops and Kids football even on 11 April. He also circulated commitment sheets for the dinner at the Bonnyrigg Sports Club on 23 April and workers at the circus. Assistant District Nominee Governor John Pillay has commenced his schedule of club visits in the Macarthur region. 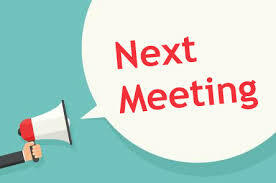 President Elect Sam Capra is looking for a replacement Youth Director as John Pillay will be busy with his new duties. Our Guest Speaker was Gemma Cameron from St Vincent de Paul. 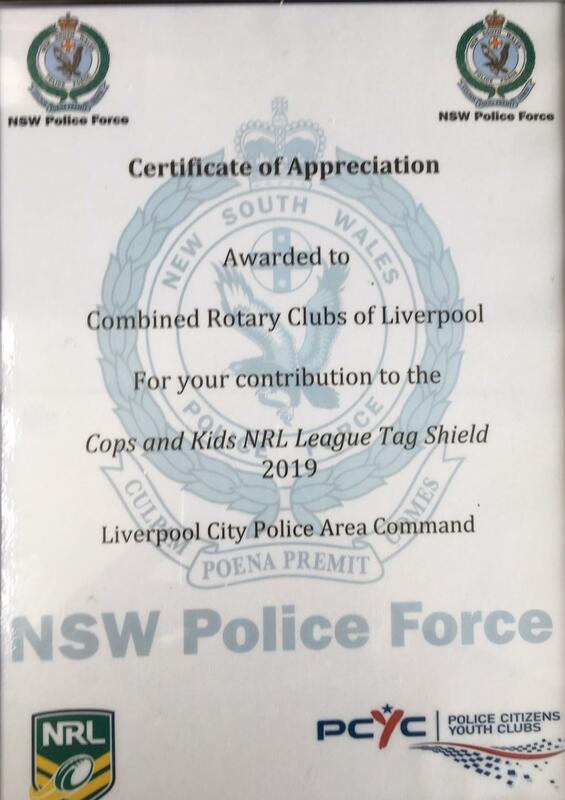 Gemma has been a regular visitor to the Club and updated us on the current situation with the Liverpool Night Patrol who the Club continues to support. It was great to her from Gemma again on what was her last visit as she changes the direction of her career. Sandra Solinas will be our Guest Speaker - Fund Raising for a GI Motility Unit. We will also have an update on our Lake Cargelligo Project. We need volunteers to work on all three days, Friday 3 May, Saturday 4 May and Sunday 5 May. A commitment sheet is being circulated – we have had a great response so far! The Circus this year is to be held in the Grounds of the Bonnyrigg Sports Club on Elizabeth Drive. 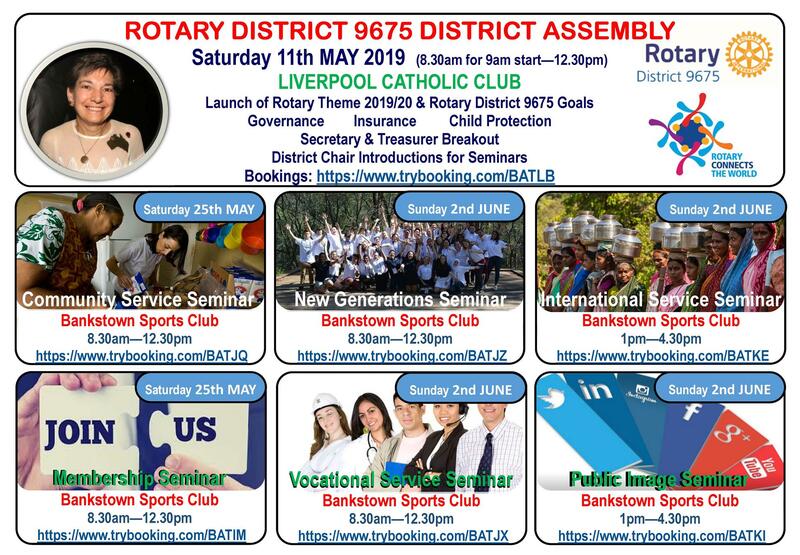 Gary Halliday and Les Still represented to Club at this event – we provided a sausage sizzle for the teams attending and we had assistance from Ron from Liverpool Club and Janice from Liverpool Greenway. It was a great day and the Kids enjoyed the day away from school and good to catch up with Mary and Rebecca who are now part of the new enlarged Liverpool LAC. The Club was presented with a certificate of appreciation for our continued support of this event. This special night, is booked for Tuesday, 23 April 2019, at the Bonnyrigg Sports Club, 610 Elizabeth Drive, Bonnyrigg at 6:30pm. Partners and Guests are welcome. We have arranged an al a carte menu. – A commitment sheet (together with menu) is being circulated and to date we have bookings for over 25 people. The cost will be $30 per head for members and one partner or guest and $45 for other guests as the Club is subsidising the night. Meals must be paid for on 16th April – so bring your money with you. 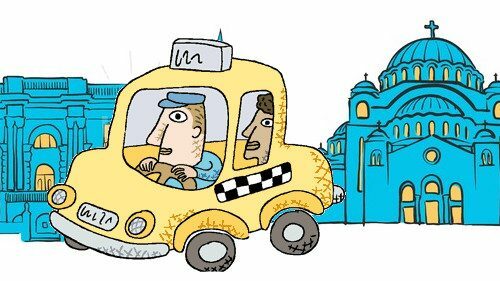 A taxi passenger in Belgrade tapped the driver on the shoulder to ask him a question. The driver screamed, lost control of the car, nearly hit a bus, went up on the footpath, and stopped centimeters from a shop window. Rotary Club of Liverpool West Inc.